“I’m a peaceful guy,” Norwegian Defense Minister Frank Bakke-Jensen told foreign corespondents in Oslo on Monday. 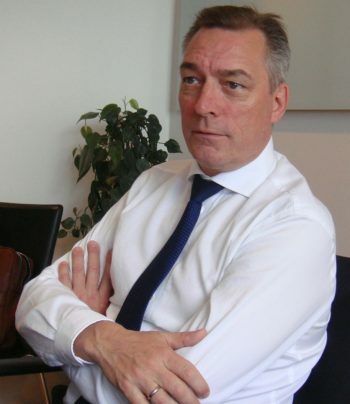 As he headed into the government’s first major talks about next year’s state budget on Tuesday, however, he needed to fight for as much funding as possible at a time when Norway’s defense capacity is under severe pressure and criticism. He also uses the need for cyber defense when defending why Norway doesn’t seem likely to reach NATO’s goal of spending 2 percent of its gross national product (GNP) on defense by 2024. Norway is taking some liberties with the goal agreed upon in in 2014 “to aim to move towards…” bringing defense spending up to 2 percent: “We do aim to do that,” Bakke-Jensen insisted. It’s just that Norway has such a large GNP because of its oil industry that spending 2 percent of it on defense would mean huge budget increases way out of proportion to the rest of the ministries that also are clamouring for better schools, health care, transportation, police protection and a long list of other welfare services. 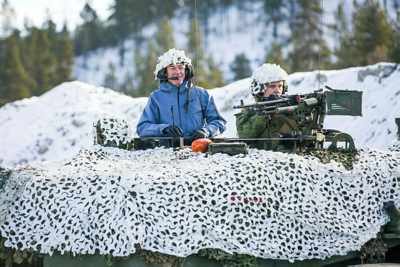 Newspaper Dagsavisen reported earlier this week that the Norwegian defense research institute FFI (Forsvarsets forskningsinstitutt) estimates Norway would need to boost the defense budget by another NOK 19 billion (USD 2.2 billion) over its planned level for 2020. Bakke-Jensen himself thinks that would be unwise, worrying that money alone shouldn’t be such an important measure of actual defense ability and how it can be developed. He’s under fire on all sides, from NATO’s demands to constant pleas for more funding from Norwegian military leaders to civilian critics who want both better defense in an unruly world and preservation of the welfare state at the same time. 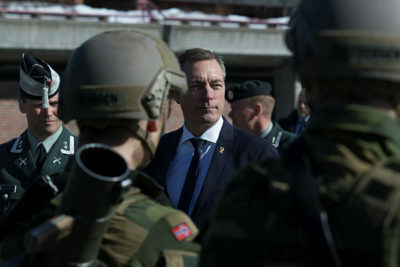 The chief of Norway’s Army, Odin Johannessen, complained on the eve of the state budget talks that Norway at present “has an absolute minimum defense.” He sees a need for a new brigade in Southern Norway, in addition to additional troops placed in the north. Norway’s defense minister also claims that Norway’s own defense forces have the resources they need. It’s just up to them, he said, how they should be allocated and how priorities should be set. So even though Bakke-Jensen’s and Prime Minister Erna Solberg’s Conservative Party seemed to water down Norway’s commitment to the 2 percent NATO goal at its annual national meeting over the weekend, the government claims it’s still committed. The Conservatives now officially want Norway “to follow up our obligations to NATO” by bringing defense funding further up towards 2 percent of GNP, while actually achieving “this goal” will be “dependent on annual budget priorities and development of GNP.” Bakke-Jensen called that formulation “very good,” but it’s clearly contingent on other needs and how GNP will grow. Too wealthy to meet goal? Bakke-Jensen also cited Norway’s investments in recent years in new F35 fighter jets, new frigates, new helicopters and new surveillance aircraft and ships among other improvements. That can be included in Norway’s defense spending, but critics within the military claim they’re constantly short of funding to maintain and operate the new equipment. Newspaper Aftenposten has reported extensively on the shortcomings, noting just last week that the Air Force doesn’t have enough money, pilots or technicians to keep 52 new fighter jets in the air. There have also been major problems with Norway’s new helicopters, as there were with its fleet of five frigates, one of which collided with a tanker in November and sunk. The loss of the frigate Helge Ingstad cost taxpayers at least NOK 5 billion and reduced the fleet by 20 percent. A preliminary report on the cause of the collision revealed that the frigate’s crew on the bridge mistook the tanker for being part of a nearby refinery. Tapes of unsuccessful efforts by the tanker’s crew and pilot to get the frigate to slow down and change course suggest human error is to blame. Initial official response to the dramatic and costly collision seemed to almost gloss over who was to blame, with both Bakke-Jensen and Naval officers praising the crew over how quickly they evacuated the ship. “We were extremely lucky,” Bakke-Jensen repeated on Monday. “I was pleased with what happened after the collision because there was no loss of lives.” He conceded, however, that “this shouldn’t have happened, you shouldn’t hit a tanker,” adding that “someone will need to take the responsibility for it” but that’s up to the police, the military and results of the state accident investigation board. The captain of the frigate was asleep when the collision occurred shortly after 4am on its way home to Bergen after the NATO exercises. Defense and NATO officials will be closely following how Bakke-Jensen, Prime Minister Solberg and the rest of the now-majority coalition ultimately “balance” defense expenditures against other funding needs and desires. Solberg herself has warned that reaching NATO’s goal will require cuts in other areas. Her suggestion to dip into Norway’s huge sovereign wealth fund known as the Oil Fund to pay for a new frigate was blasted by those reminding her that Oil Fund money is earmarked for pensions, not defense or anything else. At the same time, some opposition politicians in Parliament claim it’s “embarrassing” if Norway doesn’t meet NATO’s goal by 2024. The former Labour Party-led left-center government, however, spent far less on defense than Solberg’s government is spending now, and when the prime minister was Jens Stoltenberg, who now leads NATO.